The already-massive Takata airbag inflator recall just got a whole lot bigger. The National Highway Traffic Safety Administration announced today that it is expanding and accelerating the existing recall to include an additional estimated 35-40 million inflators. That brings the total of recalled vehicles in the U.S. alone to as many as 68.8 million – more than a quarter of all cars in the country. NHTSA issued an amended consent order to Takata this week, which requires the Japanese auto supplier to support automaker recall campaigns of an additional estimated 35-40 million inflators. The expansion is planned to take place between May 2016 and December 2019. The safety agency previously gave Takata until the end of 2019 to prove that its remaining airbag inflators using ammonium nitrate are fundamentally safe, but now all Takata airbags using that propellant without a chemical drying agent must be recalled. NHTSA says its team of independent experts reviewed the findings of three independent investigations and concluded that the inflator ruptures are caused by a combination of time, environmental moisture, and fluctuating high temperatures. This causes the propellant to burn too quickly, rupturing the inflator module and hurling shrapnel into the cabin. The vehicle prioritization schedule will be announced this summer. NHTSA will work with automakers before setting the deadlines for repairs. The Takata recall was already the largest in U.S. history, but now that it spans another 35-40 million vehicles, it affects roughly one in four cars. NHTSA and the affected automakers are committed to a 100-percent completion rate with this recall. Takata was hit with the largest civil penalty for a safety violation ever last year, and the company faces serious financial hurdles going forward. Analysts have estimated a worst-case cost of $24 billion for the recalls. 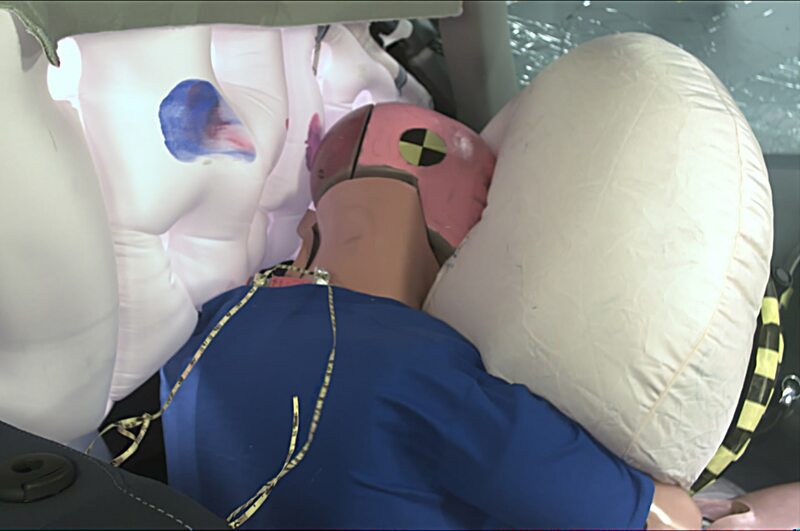 The above image shows airbags deploying in a Chevrolet Sonic.